Stargazer takes you through constellations one-by-one, linking them together as you progress using easy-to-follow star routes that guide you across the celestial sphere. Adapted carefully for the southern hemisphere, this book is perfect for budding astronomers learning to naviga... read full description below. Stargazer takes you through constellations one-by-one, linking them together as you progress using easy-to-follow star routes that guide you across the celestial sphere. 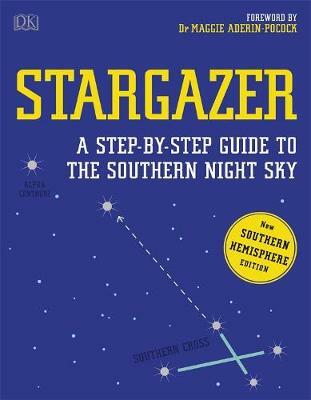 Adapted carefully for the southern hemisphere, this book is perfect for budding astronomers learning to navigate our expansive and fascinating universe. Complete with practice exercises, stunning colour photography of nebulas and galaxies, and amazing facts about our solar system and beyond, this book is a reliable and exciting new guide to our skies.